Hello my darlings! 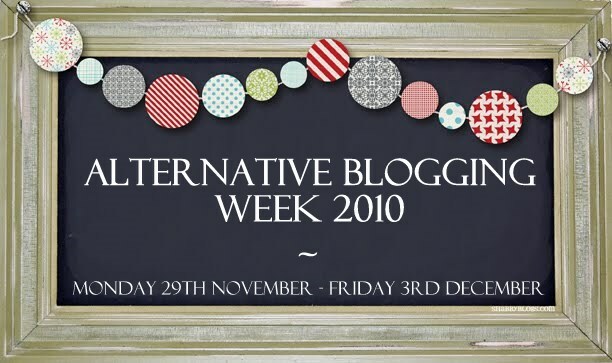 This post is a chance for me and you to look back over the week that was Alternative Blogging, and discover some... (DOT DOT DOT) things. I get all my showbizzy news from Silly Old Daniel, which is brilliant, and you should definitely follow him. Yes. Anyway, it was quite hard to find up to date showbizzy news that actually interested me, but I think Mean Girls 2 was a shocker in itself. Again, if something interests me enough, I might talk about it and go WTF?! I enjoyed this! Yes, I did! I'm glad I did this! I should do this more! Yes! And DOT DOT DOT should become a regular Musings THING! YES! This was great fun, of course, and the practice for my Home Economics practical exam in April is a bonus! I've never really liked cooking blogs though, because it's really not the same. But it's a blog. How can it ever be the same? Of course I'll be baking again, I just won't be blogging about it again. Dammit! I should have done a PHOTOGRAPHY blog! But will Alternative Blogging Week return next year? What about YOU? Would you like to see ABW return?